I was very sorry to learn that Richard Bland died last week (30th October). Richard was kind and helpful with a huge knowledge of Bristol's wildlife. 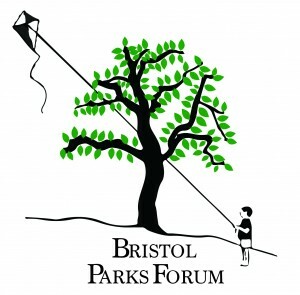 He was involved with many organisations that supported green spaces throughout Bristol particularly Bristol Naturalists, Friends of the Downs and Avon Gorge and the Tree Forum. Richard did a huge amount of work over the years recording the city’s wildlife as well as advocating for it. My thoughts and I’m sure yours are with his family at this time. The funeral will be private but there will be a memorial service in the New Year. Richard Bland was inspiration behind the Tree of the Year Competition which is currently open for votes. The Stoke Lodge Lucombe Oak is currently leading the competition with the magnificent Brislington Brook Plane second. But there is still time for that to change before voting closes on 15th November. A Parks Health and Safety Training session has been arranged for the 30th of November, at Netham Pavilion. If anyone is interested in attending please email becky.belfin@bristol.gov.uk by the 16th of November. South Gloucestershire Council has organized two free First Aid courses for volunteers who help care for public open spaces and would welcome volunteers from Bristol, please book within the next few days. This long established and popular course is suitable for volunteers who help look after community spaces that are owned or managed by South Gloucestershire Council and Bristol City Council. Participants must belong to a recognised Friends Group, who are registered with the Councils. This is a one day course is aimed at volunteers who help deliver events, use sharp handled tools and/or who undertaken physical tasks on site. It aims to develop the skills necessary to provide emergency first aid to someone who has an accident or suddenly becomes ill whilst volunteering. This short course is aimed at volunteers who help deliver events, use sharp handled tools and/or who undertaken physical tasks on site. A few Skills Bridge opportunities that the Parks groups might be interested in! Ever wondered why some parts of your park or green space was wetter than others; or why some parts of the area supported different types of plants….lime lovers in one area – acid lovers in another? Have a look at the Soil Surveys Soilscapes map of soil types. You will have to move in to find Bristol and your area – and then look at the legend. A new consultation has been launched today (Tuesday 6 November) by Bristol City Council to gather views on options for the level of Council Tax from April 2019. As part of the council’s 2019/2020 budget planning, the authority will be consulting on a number of options ranging from no rise in council tax through to a 4% increase. Every 1% increase in Council Tax would raise approximately £2m to support the delivery of services and would add approximately 31p/week to the Council Tax bill for band D properties. The 4% option would include 1% reserved to help pay for adult social care through the social care precept* and would help pay for social care services to the city’s most vulnerable residents. The implications of each option are explored within the consultation survey – if council tax is not increased then new savings or other sources of funds, such as generating income, will need to be found. People living in Bristol are being urged have their say on these proposals before the closing date of midnight on Monday 17 December. The consultation survey is available now at www.bristol.gov.uk/budget2019-2020. *To help pay for social care services for the city’s most vulnerable residents next year, the council could charge up to 1% extra on top of the Council Tax increase. This is called the social care precept and is currently only available for next year (2019/20).